Email marketing is a must-have tool for any business owner, but having a strategy and setting up campaigns may seem complicated. Following these guidelines and tips for creating your company’s email marketing campaign and strategy will give you a leg up on how you can reach out to your audience about your business. Things you can expect to learn include basic setup, the down low on subscribers, creating your strategy and content, keeping track of your efforts, how to optimize your campaigns, and powerful tips to get your marketing efforts noticed. Everything you need to get started with this powerful marketing tool is available at your fingertips for you to start harnessing for your business. Email marketing is still alive and well, and there are a number of reasons why email marketing is vital to your business. One of these reasons is that it is a targeted way to reach all of the email subscribers. Since they may not always check your website, you can at least count on them checking their email. The popularity of smartphones and tablets means that more than likely your subscriber is never far from their email account. This method of touching base with your past and present customers, and those interested in your business, is also rather inexpensive. There are no printing costs or postage costs to use email marketing. You may want to pay for services that make your email marketing better, but that price still creates a good return on investment (ROI) for your efforts. Finally, email marketing is easy to customize for your business. You can add incentives like coupons to your marketing emails that will help keep your company busy from new and repeat business. Setting up an email marketing account is typically about as difficult as setting up your personal email account – not too complicated. Probably the most complex thing you will need to decide is which service you want to use for your email marketing campaigns. Companies like MailChimp only have the purpose of being a DIY store for your email marketing needs. They do offer training to help you get started as well as more complex options. Feeling a little overwhelmed that this is one more thing that you have to add to your to-do list of topics to learn about for your business? Ballantine is here for you, and can help you with getting up-to-speed on your email marketing needs. You should think of design templates as your cheat sheets when it comes to your email marketing campaigns. These templates are great building blocks for your company to use for email blasts. They typically have a very responsive format that you can personalize and change to fit your particular needs without having to start designing your email from scratch – not that you can’t design your own template from scratch. You may find that, although there are a multitude of templates available online, you don’t want to go through a large number trying to find the one that is just right. Or, maybe you know exactly what you want in your email design. Creating your own template using Word, Photoshop, HTML or other service that you feel comfortable with using is a great idea. Be sure to save your work as you go along. Doing so will make it easier to make changes and go back if you don’t like something you’ve changed. Once you’ve gotten to the perfect template, save it again. Saving it as a template to use it for later will prevent you from changing it dramatically as you create your email campaign. Your target audience is vital to understand when it comes to gaining subscribers. Although email marketing is a relatively inexpensive method of marketing, it is still important to target those subscribers who are going to actively use your products or services. You may think that anyone with money to spend should be part of your target audience. But, for some businesses, it can be important to pinpoint those who are more likely to use their product or service. For instance, a remodeling company may choose to market to everyone, or they can focus on a more specific target market of homeowners rather than apartment dwellers who will probably not need their services. After your target audience has been determined, you can use this information when it comes to creating your content. Your emails will read differently that others’ if you are a company that focuses on business to business commerce, as it may be more formal and technical than if you are a company that sells their services directly to consumers who may be turned off by that language. Follow the demands of your audience to find that sweet spot for the tone. 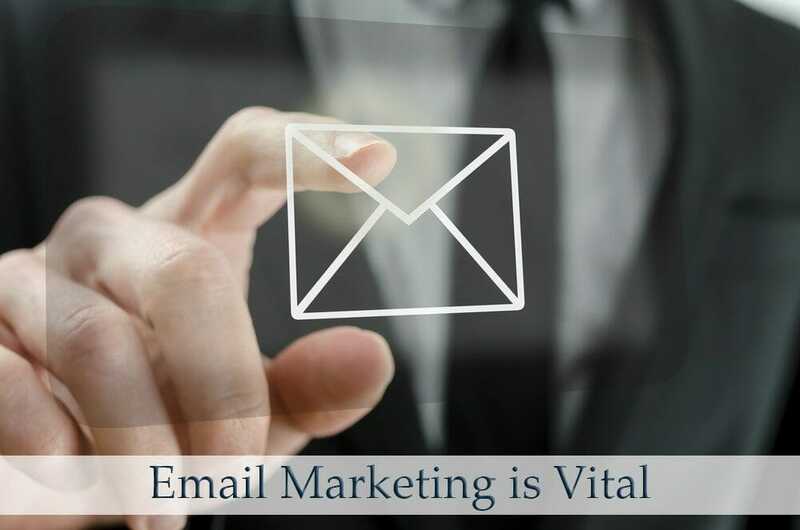 You may be thinking to yourself that email marketing would not be worthwhile for your company because your current email subscriber list is rather small, and just not worth the time and effort to market towards. This is easy enough to tackle for your business as you can begin building your email subscriber list with just a few actions that are relatively easy to accomplish without too much effort on your part. You can host a contest, share content on social media to bring people to your website, host a webinar, ask for email addresses in exchange for an item, offer a paperless option for customers to receive bills and other communications, and more. For instance, you can use virtual items or physical items to get signups for your email list. When you are at events meeting with the public, offer company swag like pens or candy bars with your company information on them in exchange for filling out a short form. People love these opportunities. You can also offer virtual items in exchange for someone to subscribe to your website, such as a short eBook. Be creative! 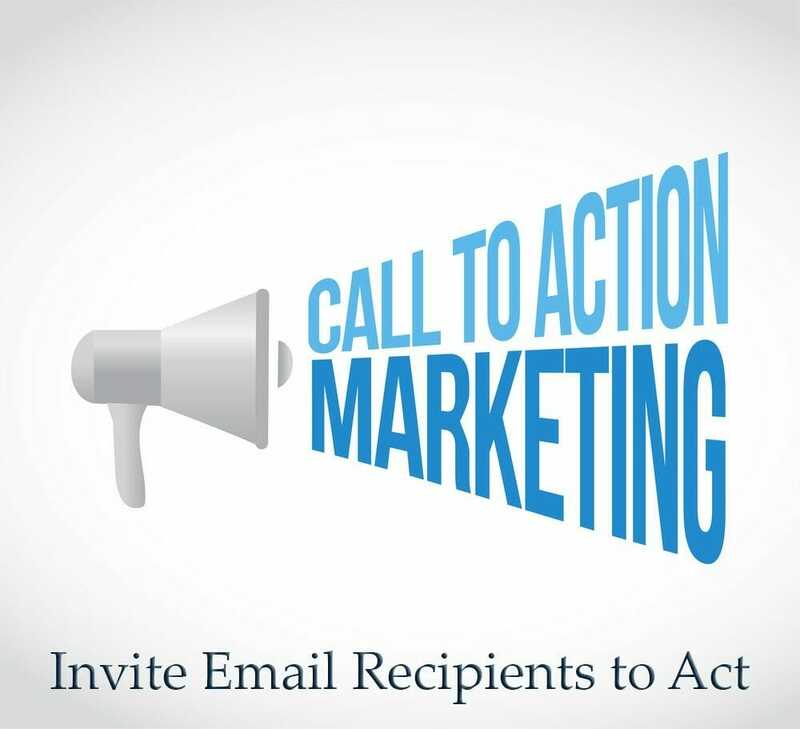 Your call to action is exactly what it sounds like in that with it you are inviting your email recipient to do something after reading your content. This may be as simple as asking them to contact your business for a free quote, or a little more complex in inviting them to make an actual purchase by paying out money right then and there. The key to getting them to follow through on the call to action, otherwise known as CTA, is to make it clear to subscribers that this is what they should do. Make it visible so that it doesn’t blend in with the rest of your content and add supporting elements that help email subscribers want to perform the action, such as adding testimonials or statistics. Remember that your supporting elements need to be realistic; overplaying your hand may turn off potential buyers. A one-off campaign is exactly what it sounds like in that it is just one email that is sent to subscribers to get them interested in a new product or service. This certainly has its place in email marketing. But, with the advent of automated campaigns, most companies are choosing to not use this type of campaign as often. Automated campaigns take some of the work out of your email marketing, and make it possible to send multiple messages to your subscribers. This typically starts with a welcome email after a person has subscribed to a newsletter or other service. Then, over time, additional emails are sent either based on the amount of time that has passed or certain events that have been predetermined. This type of campaign allows for all of your subscribers to get the same emails based on when they started interacting with your company rather than starting new subscribers in the middle of an email chain. Segmenting your target audience for your campaign can be a great way to set up your email marketing campaigns as it will assist in increasing your effectiveness of your campaigns. 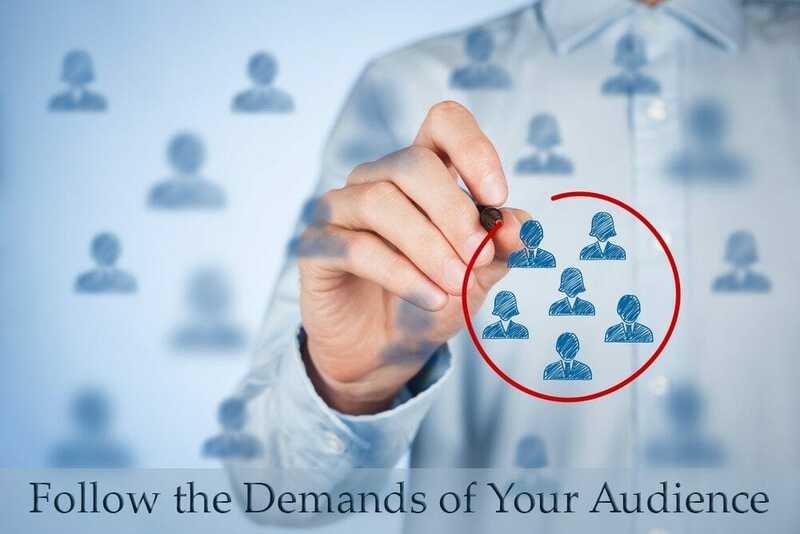 As noted earlier, your target audience is the one that is more than likely to purchase your service, and by segmenting your email campaigns, you are making your marketing materials more relevant to that particular segment. This can improve your rates on opening the email, click-throughs on the email content, and responsiveness to the call to action. You can segment your audience based on any information that is provided to you when the individuals signed up for your newsletter or email list, along with how they have interacted with your company in the past. Most people are willing to give more specific information if it means that they will receive less general emails and more personalized ones. Trigger-based emails, as mentioned previously, are the emails that are sent out by an automated campaign when certain triggers occur for a particular subscriber. These are typically when a person signs up for your email list and are in response to either time or particular actions that the person takes when interacting with your website. You will need to determine which triggers you want to use with your automated campaigns to get people interacting with your company. Your subject line might just be the most powerful element of all of the content that you create for your email subscribers. This acts as a key to opening the door to your content. An uninteresting subject line may cause your email to deteriorate in email prison and never be opened by the recipient. 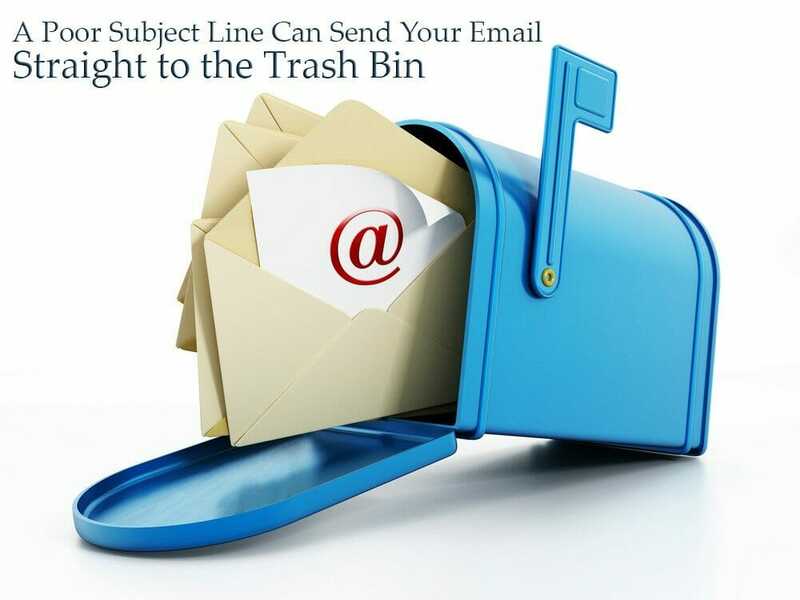 An irrelevant email subject line may even cause your email to be sent straight to the trash bin without a chance of being read at a later date. However, writing an effective and powerful subject line may get your email opened and read as soon as your customer receives it in his/her inbox. Your subject line should be short and sweet with powerful words that create an urgency to open the email. Word choice is very important as there are some words that you need to avoid just as much as there are words that will work magic with getting the reader intrigued enough to check out what you have to say to them. As you start working on your email marketing campaigns, you should be coming up with several subject lines to try to find the best ones. You can even test them to see which work best, but there is more on that to come in a later chapter. While subject lines are important, content is king. Even if you have the most interesting and intriguing subject lines ever, poor content will lead to readers unsubscribing from your newsletters and emails because they just weren’t worth their time. You need to keep readers interested in what you have to say by staying relevant, engaging with your customers, offering consistently great information, and providing clean copy. Clean copy means that your formatting should look good, and your written content should be clear of any grammatical or other errors that a quick edit would have found. You will also not want to be too formal, depending on your audience, of course. Most customers will like a more personal touch added to their email communications from your company, and will respond better to that personal touch that makes them feel as though you are communicating straight with them rather than using a mass system. We briefly touched on calls to action previously, but this is an important topic. Facebook is even getting more in touch with the needs of their business members and is adding call to action buttons on business posts to get more engagement from social media users. Calls to action that actually work are going to be used sparingly in your content, and should incite a need for the customer to follow through with the call to action. You may be thinking that a call to action used sparingly is not a good idea, but sometimes it can be a good thing to just provide the customers with content without adding your call to action. You are creating a good rapport with your customers by providing this information, and they will start to look at you as more than a company trying to sell them something. They will look at you as an expert source of information. When you do decide to use a call to action, you need to focus on a single action to be taken by the consumer with a sense of urgency added into the mix. An example of this would read, “Call us today and beat the rush for a free quote and learn how we can get your air conditioning unit ready for the summer months.” You should also make your work consistent. Your marketing emails should match the information on your website, and if you are asking people to call, let them get through easily without having to make a lot of different selections on your phone system. Just because email marketing is a lot cheaper than other forms of marketing doesn’t mean that the numbers don’t matter. You should be keeping track of the results that you achieve with every email you send. Time is money, and wasting time on poor email campaigns can be just as damaging as wasting much money on poor direct mail marketing campaigns. When your campaign kicks-off, you are going to want to keep track of important information such as what type of email was sent out, what kind of response was seen when it comes to opening the email, clicks and conversions, and your multi-channel attribution mapping. After examining this data, you will be able to move forward with ways that you are able to optimize your email marketing campaigns to make them even more successful. The tracking of these different factors is typically done through an analytics dashboard that is available through the email marketing service that you choose to use. An email’s open rate is pretty straightforward in that it refers to the amount of times an email that was sent was actually opened by your subscribers to be read. A low open rate may mean that you need to work on your subject lines, making them more attractive to your readers. You may be wondering what clicks and conversions are and why they would matter to your email marketing campaign when you’re already tracking open rates. 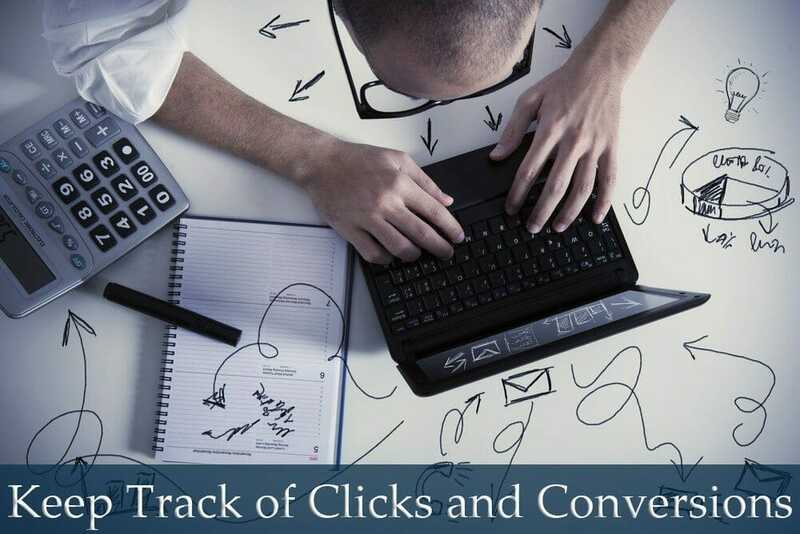 A click is exactly what it sounds like in that it is when a person has clicked on a link in your email. This means that the person is interacting with the content that you’ve provided, and were intrigued enough to try to get more information. A conversion is when that person has answered the call to action and has purchased the product or service that you are selling. You could also consider an action a conversion if they have contacted your company regarding a quote through other means, such as a phone call. Multi-channel attribution may seem like a very complicated topic, but it is not too complicated. On the surface, multi-channel attribution means that you have different channels that can bring traffic to your website resulting in a sale. This information can be used to show how your websites, social media, newsletters, and other sources of traffic interact with each other for clients. If a customer is thinking of using you as their selected contractor or buying your product, he/she is probably going to do his/her research first by reading your newsletters, seeing what you offer on social media channels, and viewing your website. This topic can be complicated, but it is there to guide you into more effective campaigns. Segmenting your subscribers is one way to optimize your campaigns, and has been previously touched on. More specifically, when looking to optimize your campaigns, you should find ways to make your emails more personalized. For instance, an email that is trying to get new subscribers to sign up for a service should be separated out from an email campaign that is looking to add further benefits to those that have already purchased your product or service. This may be just what you need to improve the analytics that you are tracking for your campaigns. You know that you get inundated with emails and that you delete them half of the time without opening them, so consider the fact that your customers are going through the same thing with their inboxes. The Federal Trade Commission, FTC, offers consumers ways to eliminate their inboxes from being filled up with unwanted emails. So, separate your company’s emails out by offering several opt-out options. Make it easy for customers to opt out from your emails, but give them some choices about how they want to receive your emails. Maybe your customers feel as though they are getting too many emails from you, and would be happier to just get an email a week or a month. Give them this option, and then create a segmented automated email campaign that follows this schedule. It’s a win-win for you and the customer. If the person does opt out completely, don’t take it personally. Every email sent is time, so you want your emails going to those who want to receive them and not those who do not. Think of going to the eye doctor. When you are there, the doctor will ask you which lens works better for you, one or two. Then, using your selection, the optometrist moves on to the next set to find that perfect prescription lens that will allow you to see the world clearly. This is what A/B testing will do for your marketing campaign. 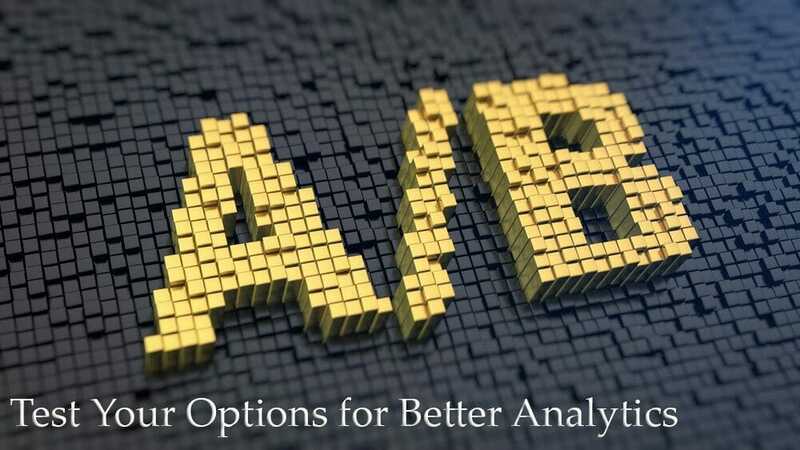 It will allow you to take two options, and see which one works better based on the data that comes back from the analytics. You can see how well options like having testimonials versus no testimonials, or short copy versus long copy, works with your email subscribers to see what they respond to best. This will allow you to go forward and make better decisions on what to use in your campaigns. There really is no magic number for what time of day is the best time to distribute your emails and get them noticed. What time works for your business may be different from other companies’ timeframes. This is another thing that you can test. See which works best for your company over time. For instance, a home improvement company may find that more of their emails are opened earlier in the day, while a restaurant gets a great response sending out an email about an upcoming dinner special in the afternoon. Find what works for you by experimenting just as you do with A/B testing. 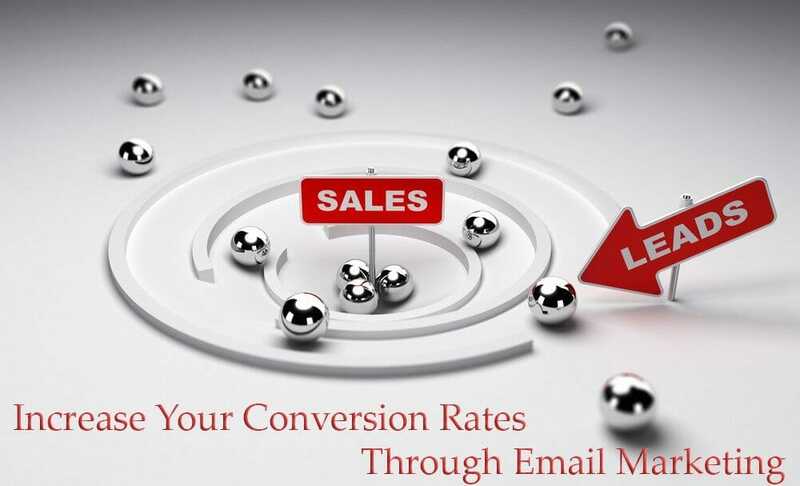 There are a lot of different ways you can go about working to increase your conversion rates through your email marketing campaigns. You need to be clear about the product, terms, and conditions. This means that you should elaborate on how your product or service is beneficial to the user and why you are better than your competitor. You should also give the person insight into previous customer satisfaction ratings with testimonials and statistics. Making up unrealistic information is not going to help you gain a sale, so be real with your customers. A tip for gaining subscribers to your email marketing efforts is to make sure that the email address you receive is correct. A small typo error in the entry may mean that this email address will be undeliverable or go to the wrong person, so it can be helpful to have them re-enter their email address a second time to prevent this from occurring. A design tip that will help you connect with your email subscribers is addressing them by name. No one wants an email addressed “To whom it may concern,” but an email that has a customer’s name in it makes it a bit more personalized. This is easily accomplished with just a little piece of code, and makes a huge difference for your email recipients. Images that are high-quality are great to look at and add a very visual level to your email marketing campaigns. People are very visual, and pictures can be eye-catching. This attention-grabbing technique is great for websites, but works well for other pieces of content too. When using images, you should never use an image illegally. You can get great images from stock websites, you can use creative commons images that you cite correctly, or you can even take your own pictures. Each of these topics works together to create a comprehensive guide on how you can start an email marketing campaign for your business. You will now be able to go forward with some email marketing campaign ideas to see what will work and won’t work for your business – starting with these basics. Still feeling as though this may be a little over your head, or that you want to harness the power of email marketing but just don’t really have the time to add this task to your never-ending to-do list? 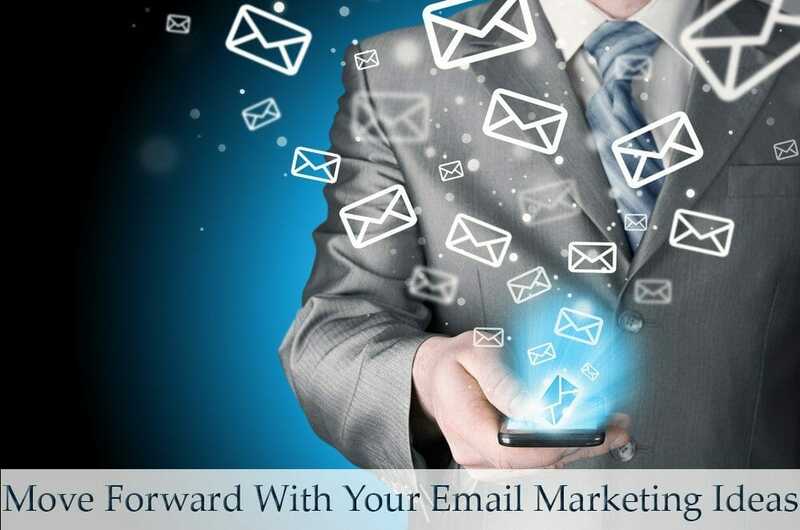 Contact us today to see how we can help you kick off an amazing email marketing campaign.